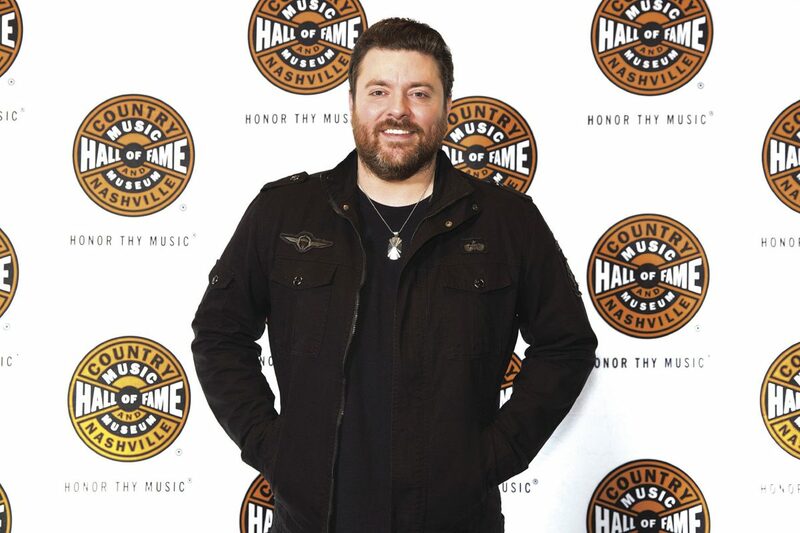 Artist Chris Young poses on the red carpet of the "American Currents: The Music of 2017" exhibit opening at the Country Music Hall of Fame and Museum on Tuesday, March 6, 2018, in Nashville, Tenn.
His musical career, however, began much sooner. He picked up guitar and began channeling his vocals at a young age. In college, he performed at local venues. “I’ve worn out more pairs of boots in my life than I think probably most people,” he said. For all of his successes — touring the world and collaborating with many of his biggest musical inspirations — he considers himself “really, really lucky” to get to work where his passion lies. In October 2017, Young was inducted as a member into “The Show that Made Country Music Famous,” The Grand Ole Opry — which is apt for his career considering his big break came after winning the reality television singing program Nashville Star in Houston. “Being mentioned in that … there’s definitely not anything negative to it,” he joked. Losing sleep has become a theme in many senses for the country crooner. The tour kicked off in January and has already taken him to more than a dozen states. “I definitely don’t get a lot of sleep, but because it’s too much fun,” said Young. Between rehearsing, performing and exploring the city if his schedule allows, Young uses any off time he can find to write new music. Through so much time spent on the second family and his tour bus a second home, which he enjoys sprucing up with personal keepsakes and items collected from travels. Texas has remained near and dear to his heart. After Hurricane Harvey hit, Young assisted with relief efforts and through personal donations and fundraising raised more than $300,000. Nonprofit organizations Little Kids Rock, Stars for Stripes, St. Jude Children’s Hospital and the TJ Martell Foundation are a few other causes the artist supports. Young has performed duets with the likes of Willie Nelson, but still has a number of artists on his “bucket list” he’d like to work with, including Kenny Chesney. Before stepping on stage, Young and his band unite for prayer. “Gettin’ You Home,” “You,” “Hang on” and “Sober Saturday Night” are a few of his songs to have reached number one on the charts and remain consistent audience favorites, he said. For information on upcoming tour dates, visit chrisyoungcountry.com.